Living in Dubai is definitely a bittersweet experience, for it being one of the most beautiful, luxurious, safe, and expensive countries in the world. Dubai was ranked the eighth most expensive country in the world to live in. which leaves residents in Dubai hustling between making ends meet, living well, and saving for the future. And moving to Dubai isn’t an easy decision to be made, especially for families with kids. As the cost of living in Dubai can be considered off the charts in comparison to other countries and cities. 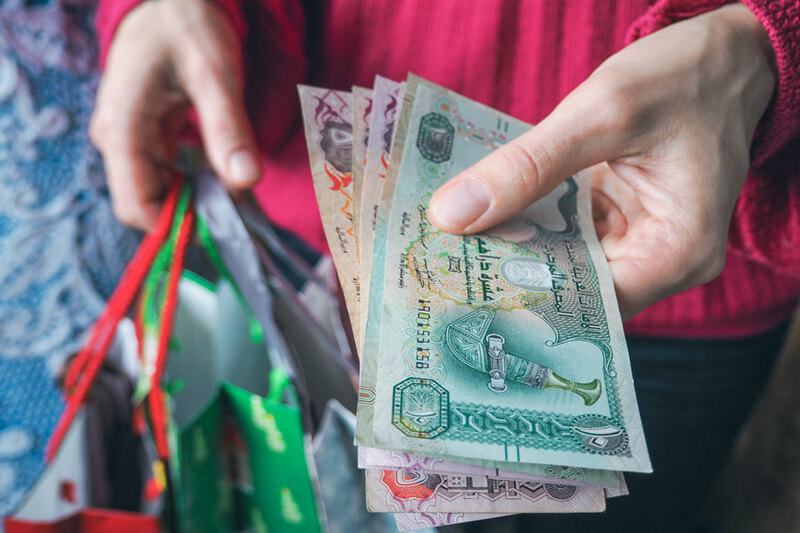 Expats in Dubai find saving money the hardest thing to do. And the best advice they would give is transferring a portion of your salary to a saving account once it’s cashed or received. Many banks provide an option to transfer a certain amount automatically each month at a certain date or when the salary is transferred to your savings account. You can also teach your kids, if they’re old enough, to learn how to save some money out of their allowance or pocket money. Renting out a unit for a year in Dubai works out cheaper for expats than renting out on monthly basis. Rent in Dubai is expensive in general, as at least 50% of expat’s income in Dubai goes towards rent and utilities (DEWA). Of course that varies according to the salary, the living unit (studio, apartment, villa), the place, and other living arrangements. While car prices in Dubai are not that expensive, and you can really find a wide range of options that suit your budget, owning a car itself might be. As if you take in consideration traffic fines, parking fees, traffic jams, maintenance, using the car on a daily basis is costly. Public transportation is cheaper in Dubai, however, if you wish to use the car for commuting or daily use, consider getting an RTA parking cards, instead of paying temporary vouchers. Credit cards are usually considered a taboo in Dubai, because seriously, who can resist all the temptations here? But, if you think you need to have a credit card, make sure you don’t own more than one. We would advise using cash or debit cards whenever possible, instead of referring to credit cards. If you have kids in Dubai, you have another reason to budget. As schools and tuition fees in Dubai are pretty expensive, and you need to cut down other expenses to save for that. In this case, we would advise trying out some free kids activities on the weekends, as you can find many in Dubai. And here are top 5 free family activities in Dubai to try out. School and tuition fees in Dubai continue to be one of the biggest expenses for expats and residents in Dubai. As schools fees can range from AED 12.000 to more than AED 100.000 on an annual basis across different grades and curriculums. Many expats prefer sending their kids to study abroad, while other kids work hard and get scholarships for higher education in Dubai and abroad. And although a lot of schools, universities and institutions and Dubai offer instalments plans and financial aids, tuition fees are still expensive in Dubai. Dining out in Dubai is considered expensive, however, you can still find local eateries that offer great food at reasonable prices. We would still recommend dining-in if you’re budgeting in Dubai, as grocery shopping is relatively affordable, as many supermarkets and grocery shops have a lot of offers and deals at almost all the times. We would also advise buying your fish from the nearest fish market instead of supermarkets, to get fresh produce at good prices.